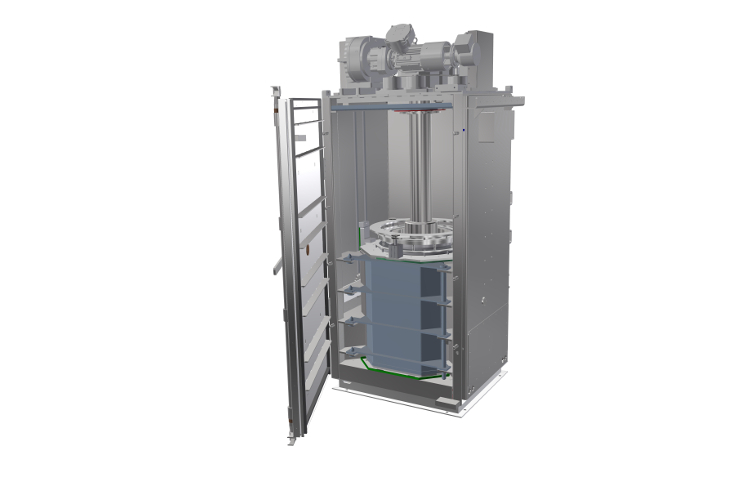 Clay, silt and other ultrafine particles can now be separated from liquids or sticky products quickly and effectively. Designed to never clog, Evodos’ dynamic settlers remove ultrafine particles in the one to 10 micron range. Our proprietary technology also captures more than 90 per cent of minerals and produces a solids cake that is up to 84 per cent dry. Evodos’ ultrafine particle separation is unique. It’s been tested in Canada’s oil sands, at drilling sites and with slop oils. The applications are broad. Ask us about how Evodos can help you. Evodos is a low maintenance, simplified solution to separation challenges, keeping your production and processes online and increasing productivity. The abrasive nature of oil and gas materials demands equipment that stands up to the toughest of challenges. We have consolidated all components that come into contact with abrasive materials into one simple, easy-to-change cartridge. At regular maintenance intervals, you simply replace the cartridge with another. The first is serviced by Evodos and returned to you, ready to use. 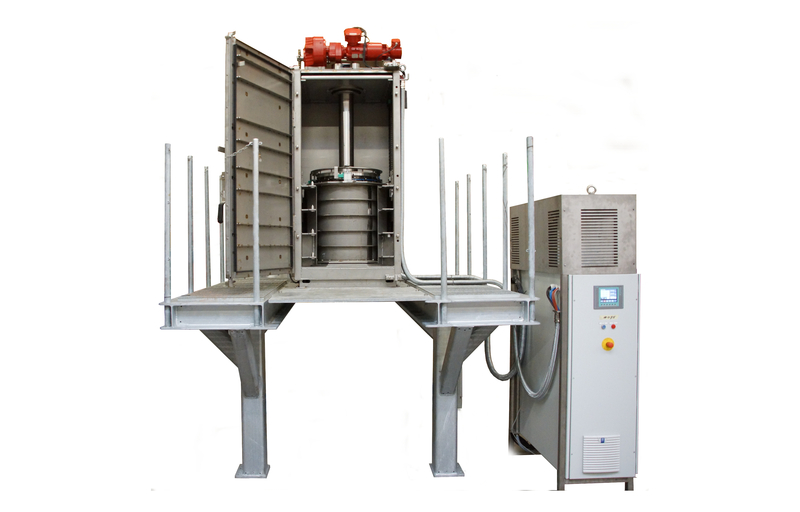 More straight-forward than traditional centrifuge technology, Evodos equipment is designed to prevent overloading. It’s also easy to use. A number of controls prevent operator error. Evodos has less impact on your production processes and bottom line. Evodos helps you exceed regulatory compliance and sustainability goals, solving significant oil and gas industry reclamation and environmental issues. Our innovative approach mimics nature’s own processes, meaning game-changing separation solutions, from reclaiming tailings ponds to reusing drilling fluids. Particles and oil droplets as small as one micron, including clay, can now be separated from fluids. Our process uses no chemicals, flocculants or thermal shock techniques. Energy use is minimal – separation takes less than one kilowatt hour per cubic meter of input material. Solids are smoothly discharged as almost-dry consolidated cakes, resulting in less waste and reduced waste transportation costs and impacts. Oil and water, or oil/water/solids are cleanly separated. 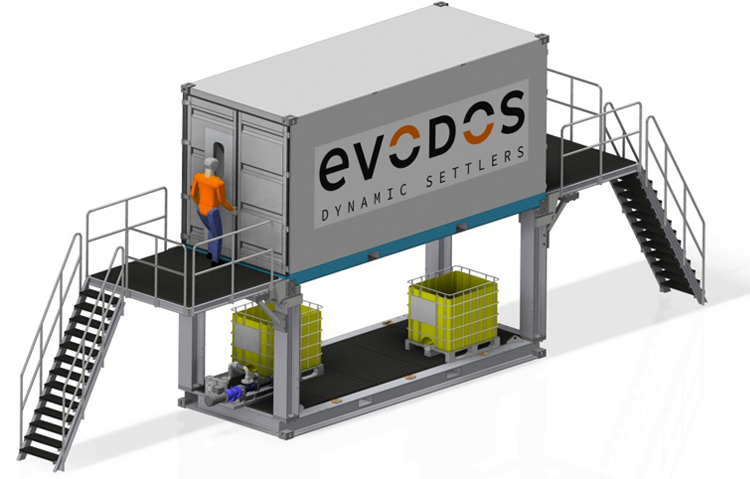 The scalability of Evodos dynamic settlers also provides environmental benefits. When grouped, the equipment can reuse energy, with the deceleration of one settler powering up the next. Our maintenance process is centered on a replaceable cartridge, further minimizing waste and environmental impacts. Evodos equipment is explosion-proof and zone one, class one certified.